Sea Soul Clarifying Toner- Review! I have never, ever used a toner in my life- fond though I am of beauty products! So this is a first for me! 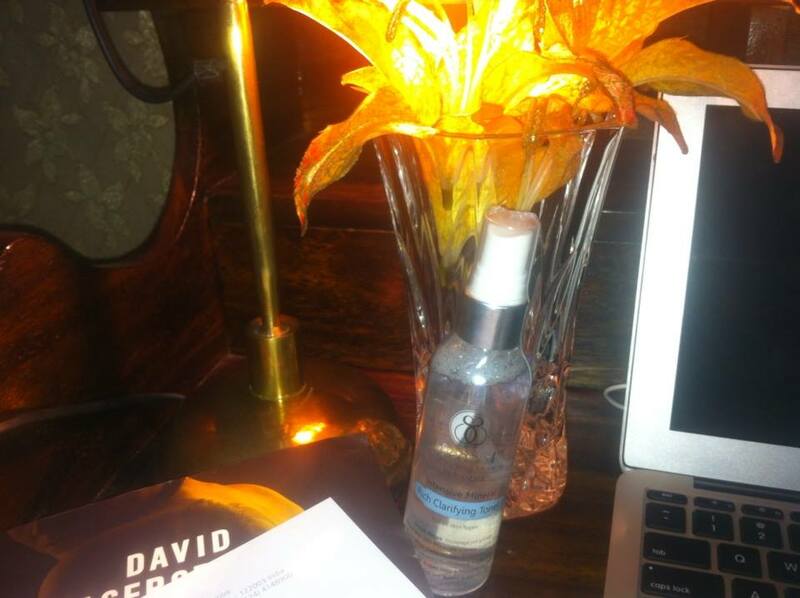 I was told it removes wrinkles, fine lines and pores- that is the Intensive Mineral Rich Clarifying Toner from SeaSoul. And if you’re on the wrong side of 30, you’d end up believing that! Enriched with Green Algae which smoothes skin and encourages cell growth, this product proudly proclaims’ nobody can stop ageing’! that’s great for starters! Just in case you’re wondering what helps – This! The Goji Berry based non-alcoholic formulation minimises the enlarges pores, fine-lines and wrinkles. Blessed (read cursed) with an oily skin, I am witness to zit battles at all times! So started the 30 day trial for an honest review! No, hang on, no earth shattering changes, but minimal changes in the open pore topography of my face! Not sure if that was because of the toner, ( I had to remind my self to apply it twice in a day- a bit much I’d say!) because of the regular Sauna and gym or the inclusion of Omega 3 rich foods that the skin improved mildly! Thank you for trying says my skin!- the effort though is still on! If you’re the one for skin regimen – this is the thing for you! The SeaSoul Cosmeceuticals specializes in the manufacture & distribution of innovative & advanced skin-care cosmetic products formulated from the unique salts, mud & minerals of the Dead Sea in combination with Moroccan Argan Oil, Plant Stem Cells, Noni Fruit & Goji Berries. All I can say is that you Seas Soul for trying- It was worth it! Previous post: Christie’s India Affair!